Microsoft has confirmed a data breach by unknown hackers who might have been successful in accessing a ‘’limited’’ number of Microsoft customer’s Email. According to the company, hackers breached the Microsoft network between January 1 and March 28 and compromised the Microsoft support agent’s credentials. The company has confirmed the incident to TechCrunch that account of users of services like @msn.com and @hotmail.com had been compromised in the recent breach, but the exact number of victims is not known. “We addressed this scheme, which affected a limited subset of consumer accounts, by disabling the compromised credentials and blocking the perpetrators’ access,” said a Microsoft spokesperson in an email. 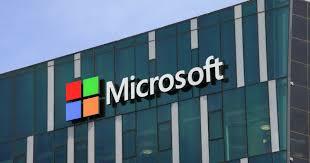 Microsoft is urging all its affected users to change their passwords immediately.